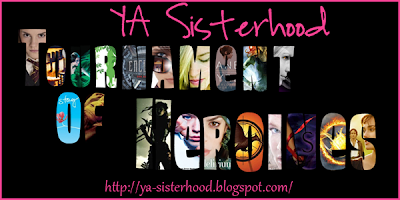 The YA Sisterhood: Match #6: Katsa (Seed #13) vs Emerson (Seed #20) goes to Emerson! Match #6: Katsa (Seed #13) vs Emerson (Seed #20) goes to Emerson! Hi! It's Stacey and Pixie we co run Page Turners Blog & we're the #TeamKatsa advocates. You can follow us on twitter @PageTurnersblog and on Facebook. We would love to have your support for our amazing heroine - let us tell you a little bit about her. Katsa is a princess, her Uncle is the king of Middluns, and she was born with a rare gift, she’s a Graceling. Gracelings are borne with an extreme ability; they can do one thing amazingly well. Some Graces show themselves early in a child’s life, but for Katsa, it takes an incident when she’s eight years old for her to get a glimpse at her Grace. While at her Uncle’s court, a distant cousin makes inappropriate advances and with one punch from Katsa he is dead. This leads her Uncle and the rest of Court assuming that her Grace is one of killing. Through the book, Katsa discovers truths about the Seven Kingdoms and herself. “I never meant to kill him,” she said. Raffin was eleven, three years Katsa’s senior, and by her young standards, very wise. She took his advice and went to Oll, King Randa’s graying captain and his spymaster. Oll wasn’t foolish; he knew to fear the quiet girl with one eye blue and one eye green. But he also had some imagination. He wondered, as it had occurred to no one else to wonder, wether Katsa hadn’t been just as shocked by her cousin’s death as everyone else. And the more he thought about it, the more curious he became about her potential. Katsa also uses the information she learns as an assassin to help the Seven Kingdoms by passing on the secret information to the Council. The Council is a secret network of spies working to better the kingdom. Pixie: When I hear the word HEROINE - I picture a female that is smart, strong, brave - someone that probably has been called a beep - someone that stands up for what is right. Katsa embodies all the qualities I use to define a true heroine. She is smart, she uses her knowledge to gain information to help her country as well as to control her grace. She is physically strong but not just because of her grace. She chooses to train long hours to learn to control it. She is brave even when it means defying her uncle and putting her life at risk. Stacey: Katsa embodies what it means to not let others define who you are and what you’re able to do. 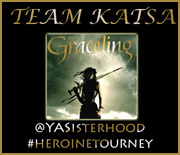 In Katsa’s world, being a Graceling and what your grace is defines you completely; you are no longer your own person because of what you were born with. But Katsa rejects this; she’s going to define who and what she is. She’s going to control her grace and she’s going to use her acquired knowledge of the world around her to make the Seven Kingdoms better, she’s not just going to be her Uncle’s muscle. I think because of how Katsa defines herself and how she chooses to live her life makes Katsa a true Heroine! We are at a disadvantage on comparing these two heroines. Neither of us have read Hourglass(shh don't let Sophie know). 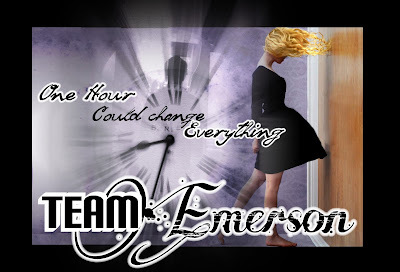 Emerson sounds like a worthy heroine but based on the synopsis this is why we think Katsa should win. Katsa can find her way down moss slime covered stairs while being silent as a mouse. VS. Emerson fake wall walking. - KATSA WINS! Cute boy who believes your stories about hearing voices. VS. HOT silver and gold eyed man who belives your Grace is something more amazing than what people see. - KATSA WINS! A boy needing your help VS. A man helping you. KATSA WINS! One hour to rewrite the past . . . 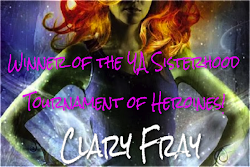 VS. a pointy sword and a new-found self awareness that rights the future KATSA WINS! Time Travel VS. Surviving snow covered mountains on foot... KATSA WINS! Okay so maybe Emerson's time traveling is cooler but Katsa still wins. She has mad knife skills. She has one blue eye and one green eye - how cool is that? The last thing you want to do is make her mad by not voting for her. She made a conscious choice to be better than the life she was born into. 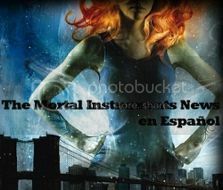 Stop by PageTurnersblog.com for some Katsa quotes and voting incentives. 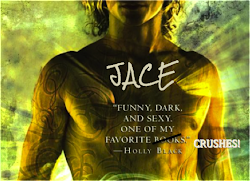 Emerson Cole is the heroine from Myra McEntire's Hourglass! Check it out here! Most girls would fall apart after losing both parents. Throw in an overprotective brother with custody over pretty much her entire life, and the fact that she see's ghosts. This girl can definitely hang in there! After meeting Micheal (potential love of her life), learning about The Hourglass, and being told that the future of everyone she loves rests in her hands. That's why we love Emerson Cole! She's smart and true, strong willed to the end. This girl doesn't need saving. She knows what it'll take to live, to survive, to save them all! 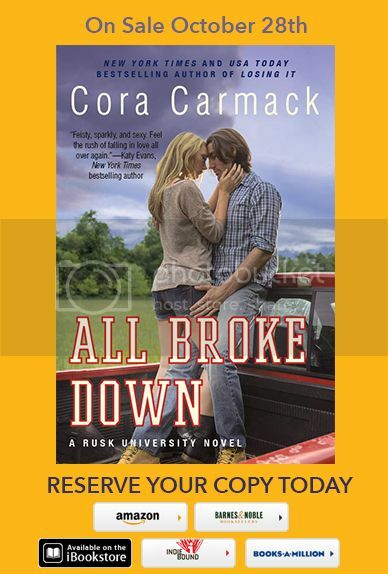 She'll fix the past, save the future, and get the guy in the end while doing it! Katsa might be tough but Emerson has the heart. She's not scared to love or to risk everything for the ones she cares about most. Katsa may have a sword and fighting skills, but can she travel through time! Here's a little video with a few words from Emerson! Team Emerson is always prepared! Here's what you've got to look forward too after a Team Emerson Win! The second book in the Hourglass series set to release in 2012! A surprise new video from the person that knows Emerson the most! 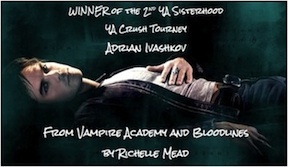 Micheal might make another YA Sisterhood tourney appearance! 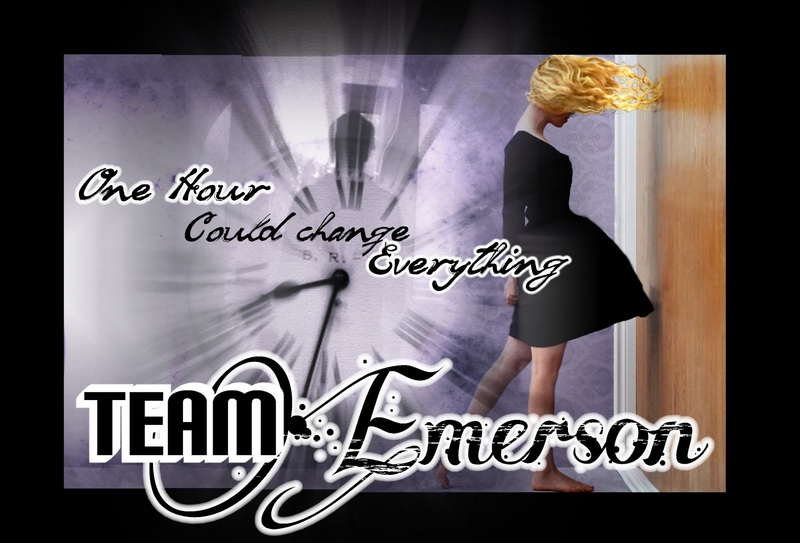 Now it's up to you Team Emerson fans! Make sure to stop by www.booklove101.com and grab yourself a #TeamEmerson button! Tweet about the tourney using the #heroinetourney tag!! Let's get Emerson to the finals!! !